I thought I'd share what music I've been loving lately. Give them a listen if you haven't already heard them! Anyways, sorry that I haven't been posting as regularly like I was doing over my winter break. The past two weeks have been hectic adjusting to the new semester, classes, and just going back to school in general. But I think I've finally gotten comfortable with my schedule. My classes were cancelled today and yesterday due to the extremely cold weather so I was blessed with a four day weekend! Huzzah! 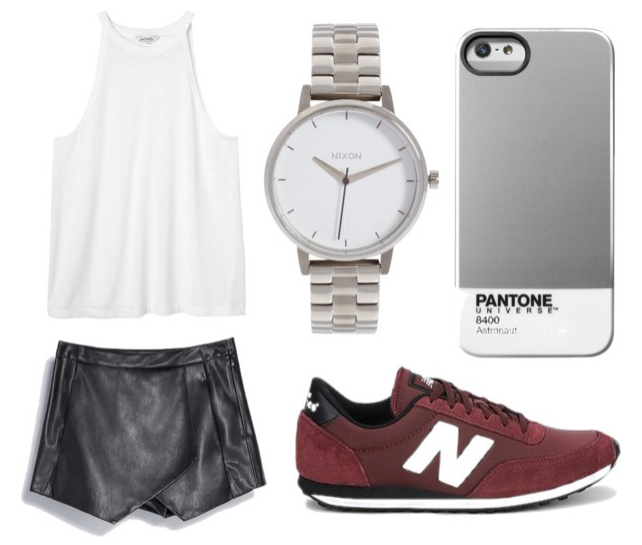 I started using my Polyvore again over this long weekend. I'm so over the cold and was feeling inspired to put some outfits together for the spring time so I did. The one above is just one of the many that I put together so if you're wanting more inspiration for the spring (and I'll note that most of the outfits I made are black and white 'cause that's just what I'm into), then check out my Polyvore here. In other exciting news, I'll be going home in about a week and a half! I'm stoked on that because I've ordered a few things and I wanted them shipped to my house and not my apartment so I want to go home asap! I'll most likely do a post on them while I'm home so that's something to look out for! In the meantime, I'm going to fix myself dinner (aka soup and microwavable pizza yay) so until next time..